The Iglesia de la Compañía de Jesús (Church of the Society of Jesus) is a historic Jesuit church in Cusco, the ancient capital of the Inca Empire, in Cusco Region, Peru. 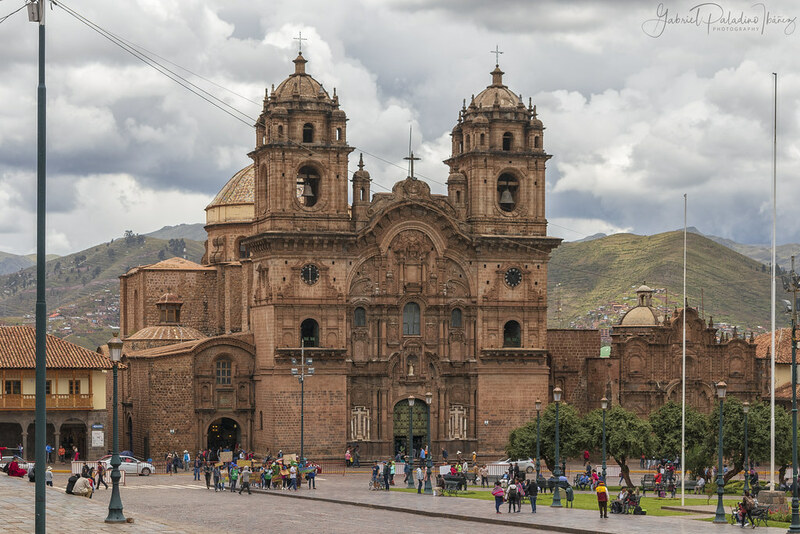 It is situated in the Plaza de Armas de Cusco, the city center. It is built on a Inca palace. It is one of the best examples of Spanish Baroque architecture in Peru. The architecture of this building exerted a great influence on the development of Baroque architecture in the South Andes. Its construction began in 1576, but it was badly damaged in an earthquake in 1650. The rebuilt church was completed in 1668.